Necklace 22" 5 rows in 2mm chalk beads white, 6mm pearlize bead white & 15mm coco pukalet bleach whi more.. 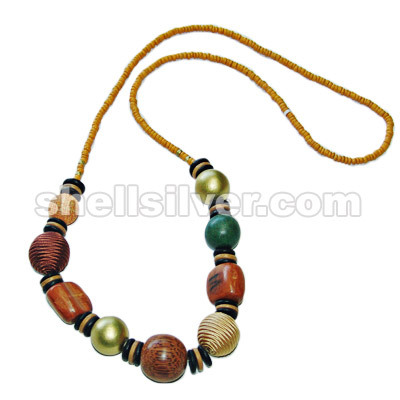 Endless necklace 41" in 8mm palm wood bead, 30mm wood bead w/ monaco thread lt. brown & lt. yellow, more.. 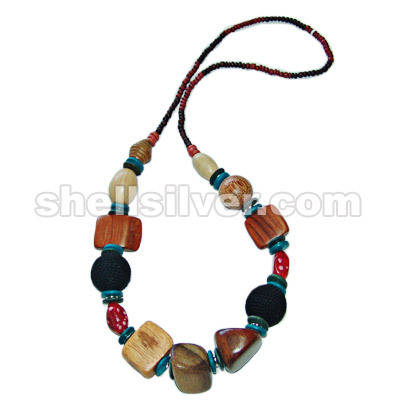 Endless necklace 42" in 4 - 5 wood pukalet red, 8 mm palm wood bead dyed red, 20 mm & 25 mm wood bea more.. Endless necklace 41" in 4-5 coco pukalet mustard & gold, 15mm coco pukalet black & lt. brown, 20mm r more.. 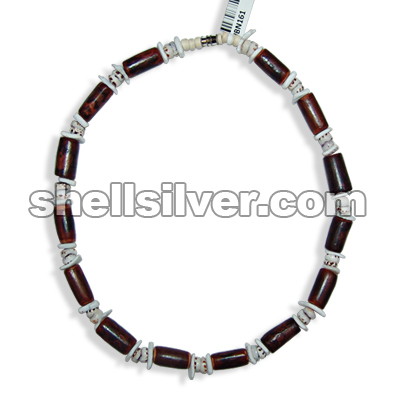 Endless necklace 44" in 4-5 coco pukalet brown, 4mm antq. 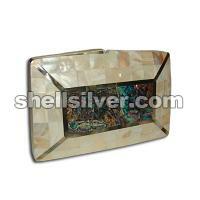 beads, nasa shell white, 2-3 coco heishe o more.. 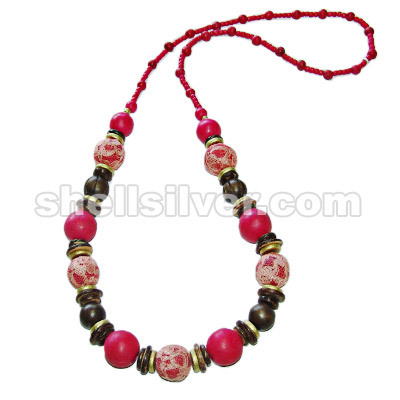 Endless necklace 36" in 4-5 coco heishe fuschia, 10mm, 15mm, 20mm, 25mm & 30mm wood beads pink 2tone more.. 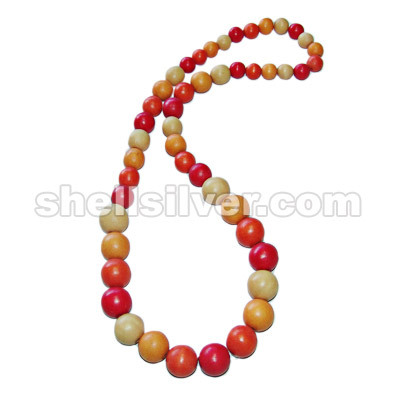 Endless necklace 35" in 15mm, 20mm & 25mm wood bead lt. yellow, mongo yellow, orange & red fashion j more.. Endless necklace 35" in 4-5 coco pukalet lilac, 10mm wood bead purple 2tones, 20x28mm wood flat oval more.. Endless necklace 35" in 4-5 coco pukalet pink, 10mm wood bead pink 2tones, 20x28mm wood flat oval p more.. 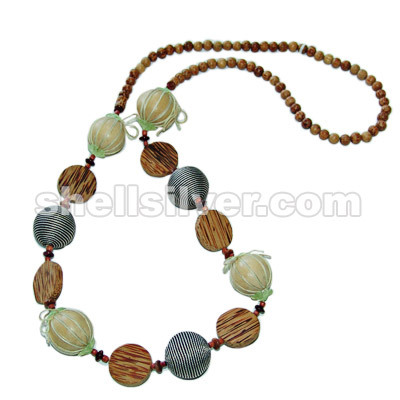 Endless necklace 37" in 15mm, 18mm, 20mm, 25mm & 30mm wood bead painted pink tones & white, 15mm & 2 more.. 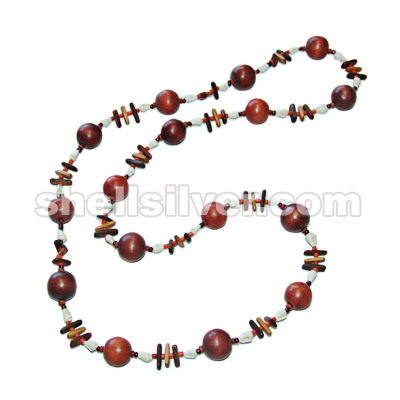 Endless necklace in 4 - 5mm coco pukalet brown 2 tones,8 mm coco pukalet orange, 25 mm MDC wood beeh more..